Architectural concrete blockhouse with private bath, screened sleeping loft and rainwater harvesting. Restoration of 1955 Spartan trailer on steel frame with IPE deck. 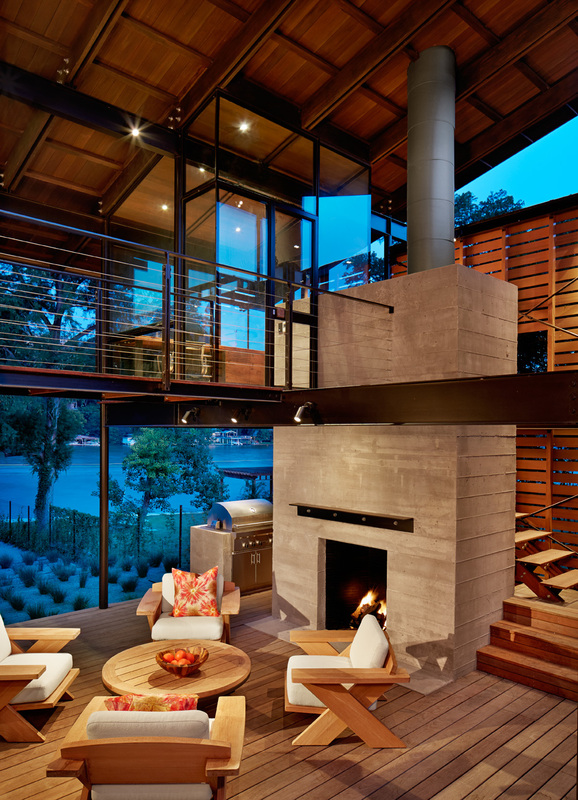 Cantilevered over the Nueces River. --Texas Society of Architects 2014 Design Awards Juror Marlon Blackwell, FAIA, observed. Built entirely of concrete, the structure gives a whimsical nod to the work of Louis Kahn and uses the construction process to create its unique exterior. "It had this incredible palette of materials that was at the same time incredibly rich but also restrained. There's something about the layering those textures and as their juxtaposed against each other that creates a richness. The Cuernavaca residence is simply a very exquisitely detailed piece of architecture. The house feels very warm even though there's a lot of concrete. In my opinion there's also a warmth to the concrete because of the intricacy of the detailing. It's as good as almost anything I've ever seen." See how Boothe Concrete formed and poured a curved concrete wall in this video.